Over the past few decades, museums have positioned themselves in this post-modern society as institutions representative of multiple perspectives. One way this is happening is by inviting visitors to be active participants in the museum experience. More and more we are listening to our visitors by asking them to respond to prompts and questions. If your institution has started down this path then you may be facing a conundrum much like mine: What do we do with the thousands of visitor responses we’ve collected? 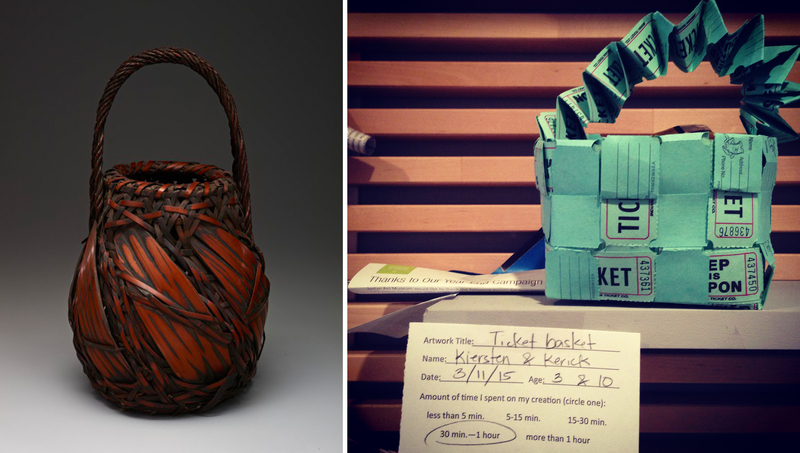 As a baseline, collecting can be a way to understand trends in visitor experiences. Comparing the number of responses to total attendance can reveal the percentage of participating visitors. Depending on the data prompted by the response card, you may be able to learn more about participates. 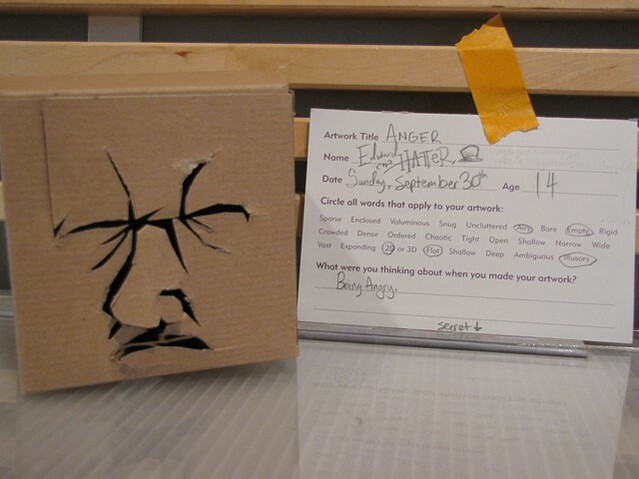 For example, the Art Spot creation labels used in the Center for Creative Connections (C3), prompt visitors to note their age. 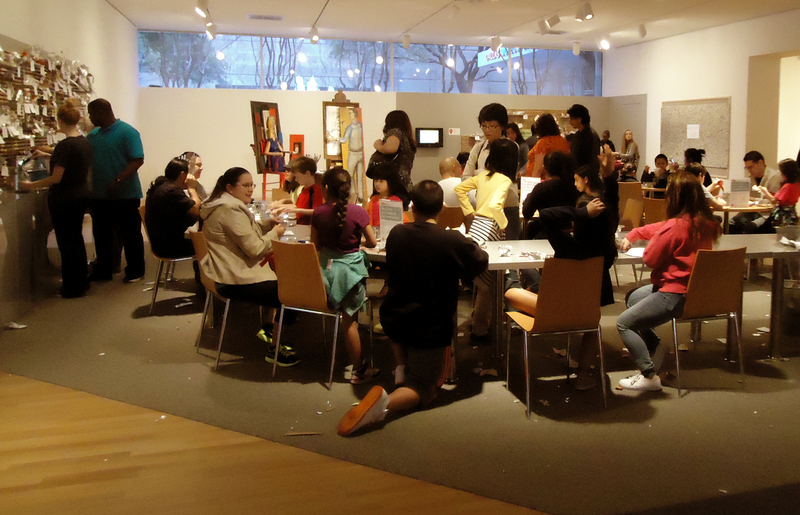 With over a year’s worth of data collected we know that 6-12 year olds make of the majority of Art Spot participants. We also know that 30% of participants are adults. It is interesting to note the months when adult participation spikes to nearly 40%, and consider what might be effecting those fluctuations. Furthermore, the actual responses can be a source for qualitative data collection, illustrating the depth of visitor experience. Also, by collecting and reviewing responses, we can evaluate our own prompts. When C3 first installed Starry Crown by John Biggers, we offered two prompt cards related to the work of art. A high percentage of the responses we received to the prompt pictured at the top did not address the prompt. 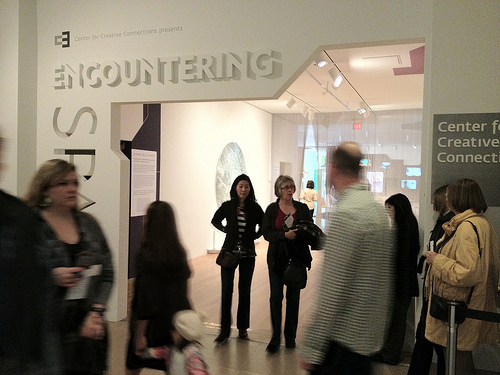 This revealed that the question was difficult for visitors compared to the other prompt (on the lower right) which consistently received more thoughtful responses. Because of this, we eventually phased out the first prompt. In a similar way, visitor responses as feedback can offer insight into visitor’s motivations, expectations, and experiences of a program or space. In preparing for a redesign of the Young Learners Gallery within C3, we solicited visitor feedback to find out why caregivers bring their children to the DMA. Visitors left their responses on Post-it notes and using the Post-it Plus app, we easily digitized, sorted, and analyzed the responses. We used the three categories with the largest number of responses as a guiding force in the redesign of the space. After analyzing and sometimes digitizing, are these visitor responses then doomed to storage? Working in an educational space that serves, on average, 18,000 visitors a month, I question our habit of simply counting, sorting, and boxing up visitor responses to store away in file cabinets or closets. When we use Post-its, we digitize the responses because the Post-it Plus app makes it an easy process and contains helpful sorting and exporting systems, but in regards to broad digitization, I have to stop and ask, “Why?” What would we do with responses in a digital form? Would it be any better to store these responses in digital file cabinets? Would we one day go into the vault to re-read the responses? Have we done that in the past with the responses currently being stored? When I’m reflecting on past visitor response prompts, I go back to the spreadsheets and summaries that help extract meaning from the raw data. But what to do with the more esoteric prompts and responses? For instance, in spring 2014, C3 hosted a community exchange project inspired by A panel depicting the Tuba Tree, with the 99 names of God on its leaves. Museum visitors helped us explore the potential meanings behind “Nur” the Arabic word that translates to “Light” in English. The work of art was on view with an accompanying interactive that prompted visitors to share one word they associate with the word “light” on a golden leaf and hang it on the fabricated tree in the space. When it came time to extract meaning from the responses we enlisted the help of a writer. In 2015 C3 Visiting Artist, A. Kendra Greene, started by alphabetizing the responses. The process of doing this created some interesting word combinations, one of my favorites being “Jesus, Joy, Justin Bieber.” From these alphabetized lists sprang arranged poems. The creation of the poems led to a spoken word performance where Greene took the words of our visitors, re-interpreted them, and produced an engaging performance. 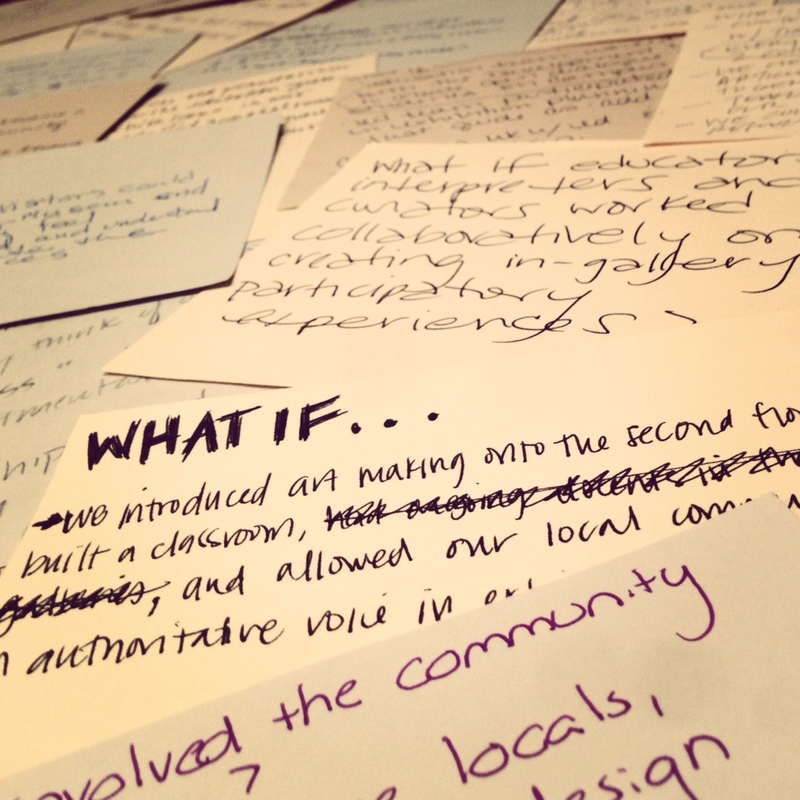 Creating a visitor response cycle—the museum prompted visitors, visitors left responses, their responses were made into a performance, the performance was shared with visitors—and in effect an artistic evaluation and summary of the responses. From these categories emerged tailored booklets called, Common Thread: Selections of women’s wisdom, guidance, counsel, advice, experience, notions, revelations, hard truths, and plain facts. Throughout the year we have found various opportunities to share these booklets with our visitors. First at Mother’s Day, then Thanksgiving, and now as we prepare to say farewell to Starry Crown, we are assembling more booklets to give out through the month of April. 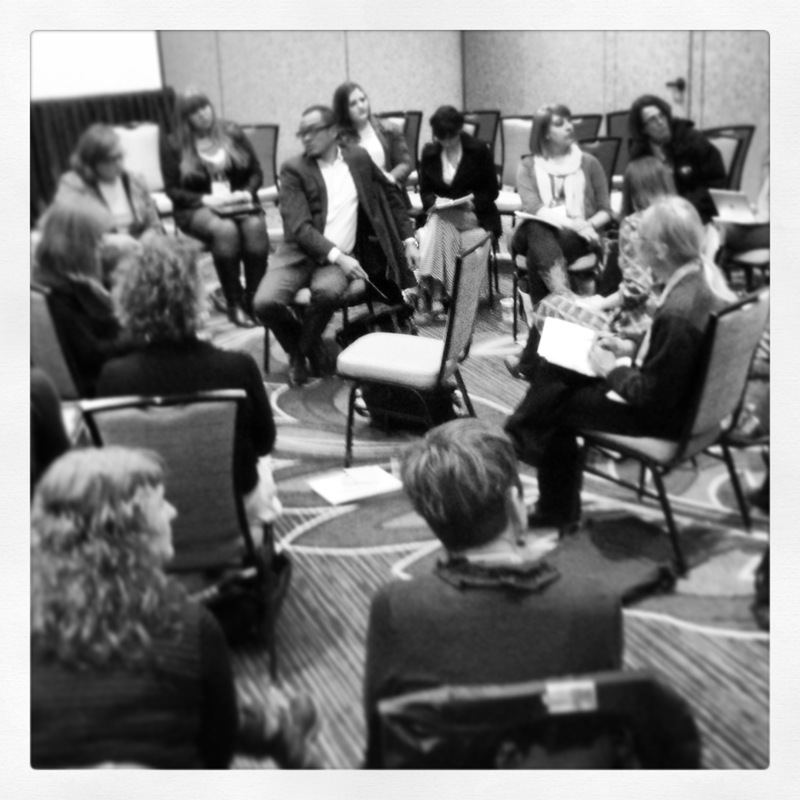 What creative solutions have you found for documenting, storing, or sharing visitor responses?